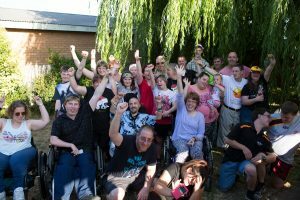 Stadium Step-Up is raising funds for New Horizons Club; an organisation that is quite simply, part of the fabric of Launceston. 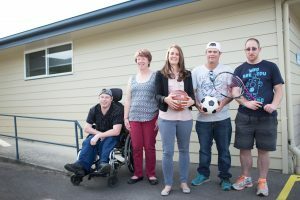 The organisation has been providing sport, recreation and social opportunities to local people in Northern Tasmania with disability since 1986. We currently run 18 programs a week, 48 weeks a year for over 300 members. It’s about ensuring that EVERYONE in our community has the chance to enjoy the fantastic physical, mental and social benefits that an inclusive, active life brings. Through participating in sport and activities that many of us are lucky enough just to take for granted, NHC members have the chance to set and achieve goals, and follow their dreams. This year New Horizons Club sent four teams interstate to represent Tasmania in inclusive AFL, Futsal, Cricket, and Indoor Cricket tournaments. Our members travelled all around Australia (and the world!) 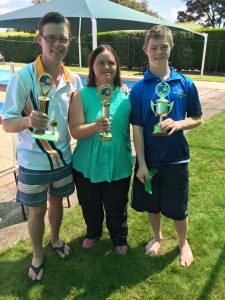 to compete in boccia, tenpin, swimming and more. And all the while, we remained busy at our Mowbray clubhouse, hosting and facilitating local sports, art and craft, musical and social activities for members of all abilities. It’s a wonderfully full and busy life at New Horizons, that’s for sure!